Researchers are trying to understand gun ownership numbers in the United States, but without official data, researchers had to find a proxy. There isn’t any official data on gun ownership in the U.S. That’s because it’s illegal to keep track of who owns what gun. The Firearm Owners Protection Act of 1986 prevents the federal government or a state from keeping a registry of the guns a person owns. So instead, researchers go looking for other solutions. Some research groups have surveyed people, asking if a household has at least one gun, but surveys rely heavily on people willingly giving out their information. Dr. Phil Cook, a professor at Duke University, has been studying gun statistics for decades. He says you have to take survey data “with several grains of salt”. Survey measures are also not readily available each year, which makes it hard to calculate a yearly estimate. The National Instant Criminal Background Check System (NICS) releases data on how many background checks it ran that year. Some news outlets use this data to understand gun sales, but even there, that data is problematic. According to Cook, if you wanted to use that data to understand gun ownership, it would be related, but he doubts it would say anything about what we really want to know, which is how many households possess at least one gun. So, Cook decided the research community needed a better proxy measurement than either survey or background check data. In 1979, Cook was looking at official data on firearm deaths. He used WISQARS, an online database created by the Centers for Disease Control and Prevention (CDC) that provides fatal and nonfatal injury and violent death data. For example, if someone dies in a car accident or is killed by gunshot, a death certificate would be created with information on how that person died. Physicians, medical examiners, and coroners report this information into the WISQARS system. For any kind of comprehensive data analysis, Cook would need readily available, high-quality data and he found it in WISQARS. “Then the question is: what to do with it? Is there anything in there that will tell us what we care about, which is the percentage of households that have a gun?” Cook asked. Cook said this data, on face value, just reflected how much violence was in a particular jurisdiction, but he wanted to focus on the method a person would use if they wanted to be violent. Cook assumed that if people wanted to commit violence against others or themselves, they would use whatever was available. One piece of evidence that supported his assumption was that the gun ownership percentages for homicides and suicides were highly correlated across states. Cook took it further. 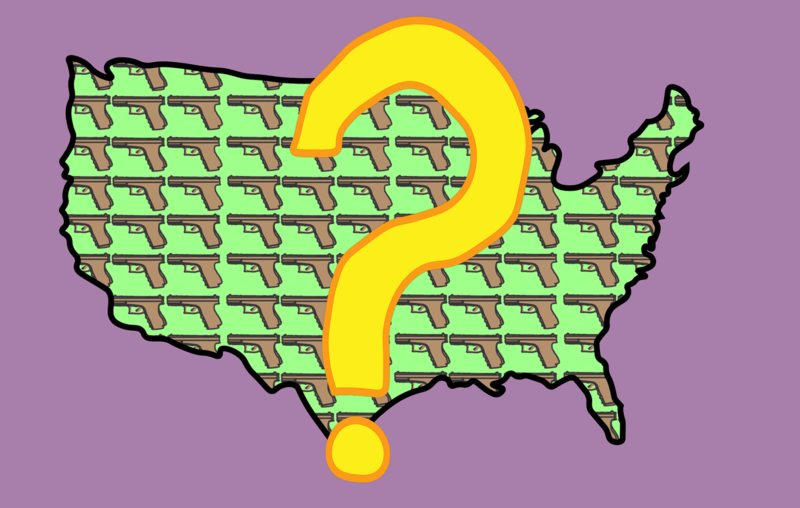 He asked himself: If a state had a high suicide by firearm rate, could that be correlated with a high gun ownership rate? He divided the number of firearm suicides by the total number of suicides in a given year. He called that the FS/S. This formula gave him the rate of suicides by firearm in a given year for a given state. Sure enough, when he looked at gun ownership estimates from survey data for that state in a given year, it mapped very closely with the FS/S. But that was only the beginning. Cook had to then prove that this method truly worked. So, he turned back to the surveys. When he compared the FS/S ratio to the data available from surveys at the national level, it was highly correlated to a degree of 0.80 to 1, (0.80 represents the coefficient.) The closer it is to 1, the more closely associated the two data are. Cook’s method has been tested and validated by many researchers. In 2014, researchers at Boston University improved Cook’s method by using FS/S and the per capita number of hunting licenses. They validated their method using survey data from 48 states during 1996 and 1999 and 21 states during 1995-1998. When they matched up the data, it correlated even higher, at a degree of 0.95. Today, most public health researchers use Cook’s method in their research. If they want to calculate gun ownership rates in a state, they will look at suicide-by-firearm rates in that state instead. Cook says it is really about access. Having a gun doesn’t make you suicidal. But if you are suicidal and you have a gun, you’re more likely to kill yourself using a gun. And according to other research, if you have a gun, you’re more likely to complete the suicide than you would by other methods. Cook then turned the scenario in the other direction: What if the home doesn’t have a gun? The person may decide to use another method. But studies have shown most other methods of suicide are not as effective as using a gun. Dr. Michael Siegel, a professor at Boston University, was the lead researcher on the Boston University paper which improved Cook’s method for calculating gun ownership. Both Siegel and Cook want to be clear: having a gun in a household does not make people in that household feel suicidal. But, if one day, someone in that household feels suicidal, they have the means.